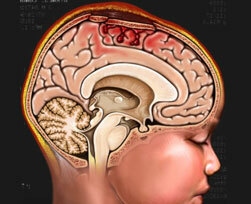 Traumatic Brain Injury is a major cause of death and disability worldwide, especially in children and young adults. Traumatic Brain Injury can cause physical, cognitive, social, emotional, and behavioural effects, the outcome of which can range from permanent disability to death. A recently completed study using stem cell therapy in children with acute traumatic brain injury, revealed positive safety results. Child’s own cord blood stem cells have the ability to help facilitate the healing process after damage to the nerve tissue in the brain. The study was conducted at the University of Texas - Health Science Center, Houston in 10 patients to determine the use of stored autologous Human Umbilical Cord Blood (hUCB) and its safety in treating pediatric patients that sustain a severe or moderate Traumatic Brain Injury. The results of this study are awaited.